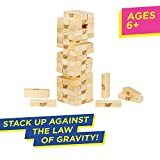 Jenga The original wooden block stacking game of skill, nerves and very steady hands Object Of The Game Remove one block at a time from the tower and then stack it on top. 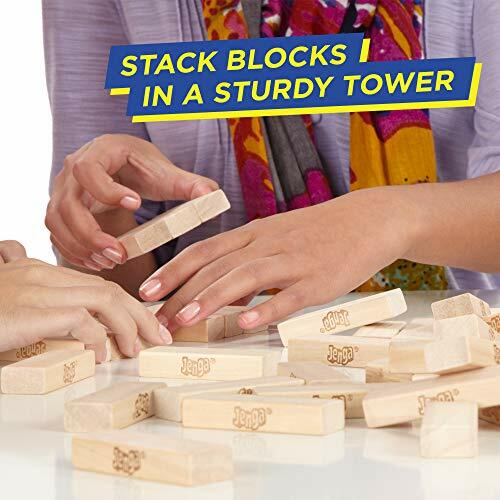 The last player to stack a block without making the tower fall wins the game. Gameplay The player who built the tower goes first. 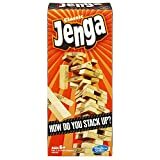 Play then passes to the left. 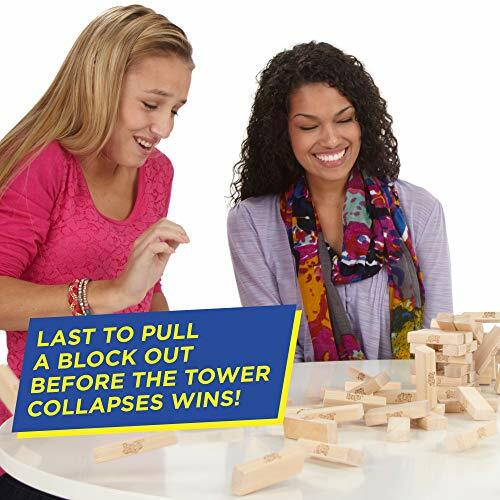 On Your TurnCarefully remove a block from anywhere below the highest completed storey. 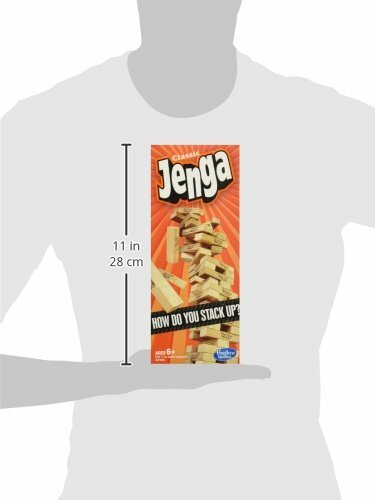 Use only one hand. 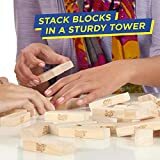 Then stack the block on top of the tower at right angles to the blocks just below it.Removing and Stacking BlocksRemove and stack one block per turn. 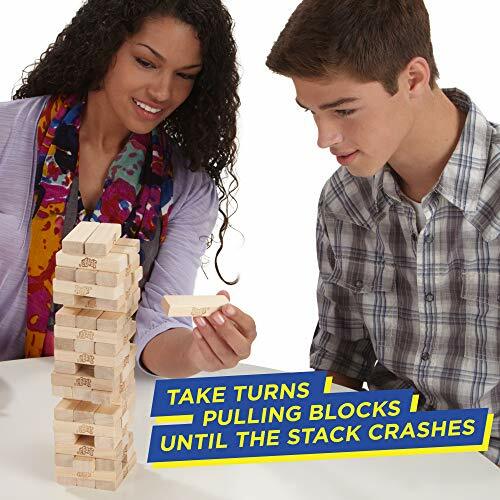 Remember use only one hand (you can switch hands whenever you wish).As play continues and the weight of the tower shifts, some blocks become looser than others and are easier to remove. 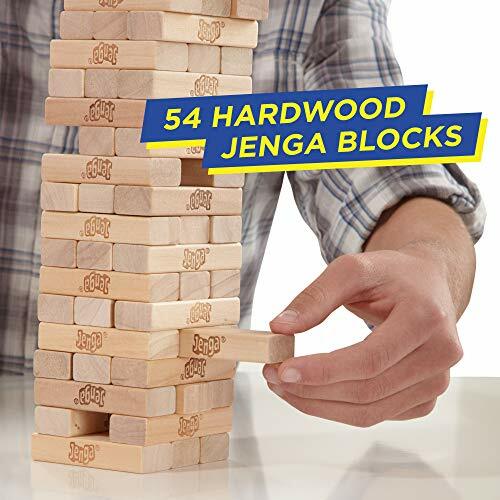 You can touch other blocks to find a loose one -- but if you move a block out of place, you must fix it (using one hand only) before touching another block.While stacking, always complete a 3 block storey before starting a higher one.Your turn ends 10 seconds after you stack your block -- or as soon as the player to your left touches one.Keep removing and stacking blocks until someone topples the tower. 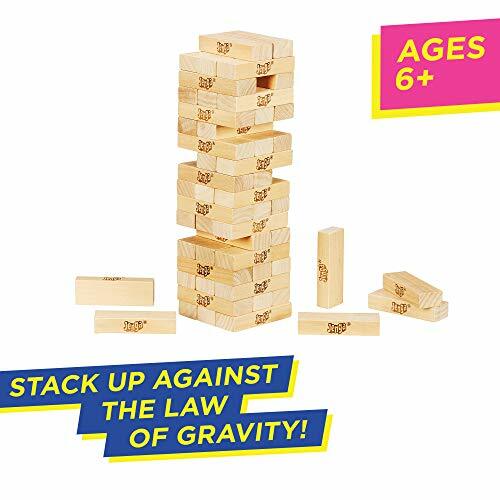 A real expert can build a tower 36 storeys high or more.Winning If youre the last player to stack a block without toppling the tower, you win! 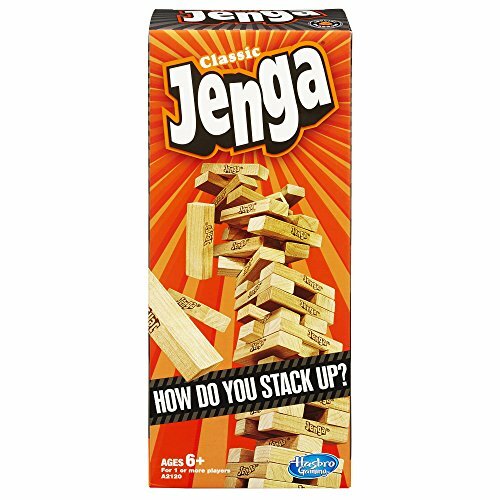 The player who makes the tower fall gets to set up the tower for the next game.